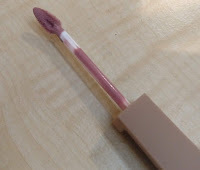 The applicator they use is pretty unique and very flexible (from ones that I have seen). You can get one coat coverage so the one tube can last quite a while. They come in a variety of shades in clear tubes but, the color of the tube may not be the color you want after it dries. Check Instagram with the tag #leschocolats to see how they all dry. These are not only the shades of some chocolates they smell like chocolate as well! They retail for $7.99 ($9.99 at Ulta) each but, often times you can get them buy one get the 2nd for only $5. 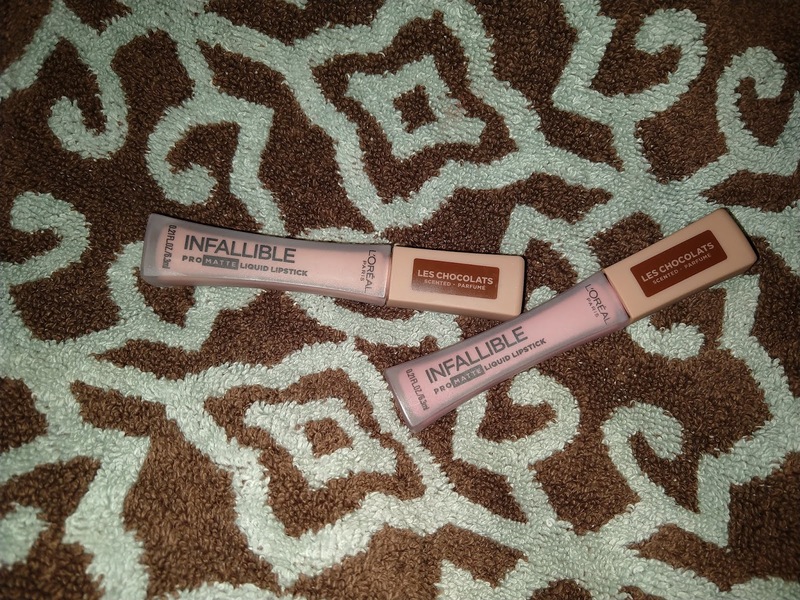 I'm thinking about trying a few other shades from the infallible line now! 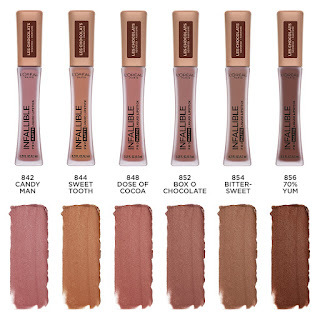 My favorite shades are Candy Man and Dose of Cocoa. Swatches of these below! To get a great deal watch for a coupon in your paper or on coupons.com and combine that with a BOGO 50% sales. Or use an Ulta $3-$3.50 off coupon alongside a Bogo 50%. That is 2 for around $12. 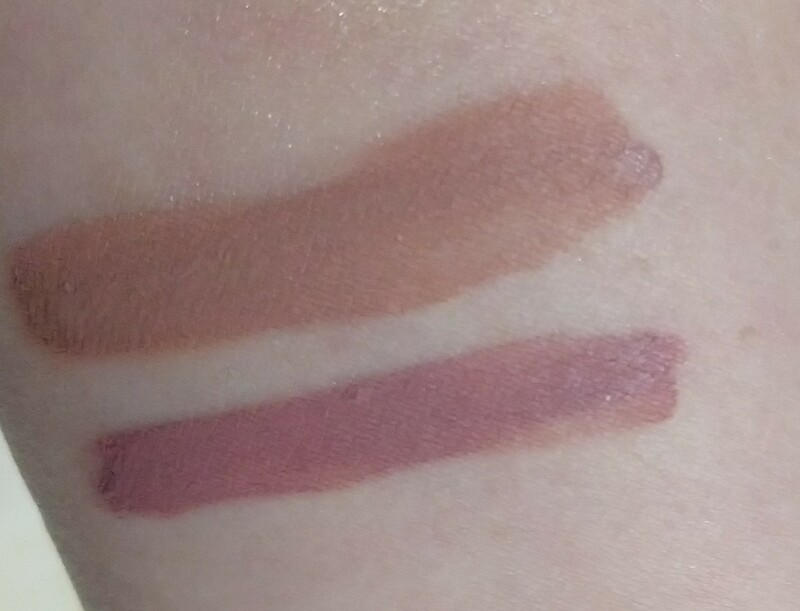 Remember they do not look like these swatches when they dry. Dose of Cocoa is nearly my skin color when on my lips when it dries and I'm very light. I purchased these at full price. These opinions and review are all as always my own.